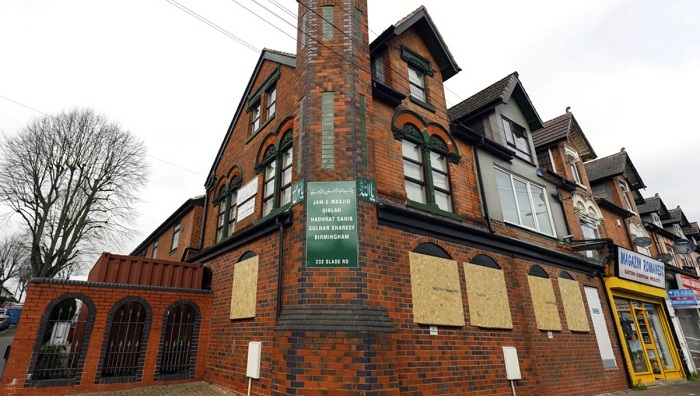 Counter-terrorism officers in central England are investigating attacks on five mosques in which windows were apparently shattered by a sledgehammer. British Home Secretary Sajid Javid says that the Birmingham attacks are "deeply concerning." In a tweet, Javid stressed that "hateful behaviour has absolutely no place in our society &amp; will never be accepted." Birmingham City Council cabinet member Waseem Zaffar wrote on Twitter that the community "will fight back against any hate and division with love, peace and harmony."